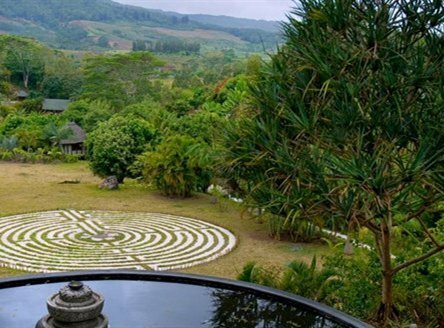 Discover a magical lodge in the midst of nature; a haven of peace, stunning ocean and mountain views; and fine Mauritian cuisine. Discover simplicity and refinement together – welcome to Lakaz Chamarel! 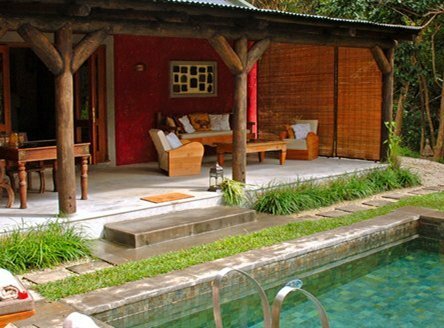 This exclusive lodge is a unique ‘boutique’ hotel, but with the service of a 5 star hotel. 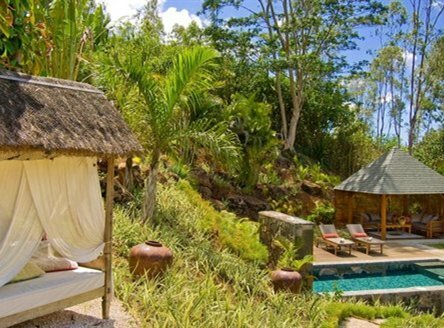 It is situated some 400 metres up in the mountains of Chamarel in the south-west of Mauritius, and yet is only 15 minutes drive from the beautiful beaches of Le Morne. 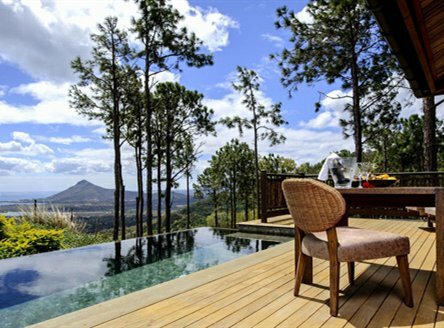 It provides the perfect opportunity for seeing two different sides to Mauritius, combining one of our luxury hotels on the coast with a few days at this special lodge in the mountains! 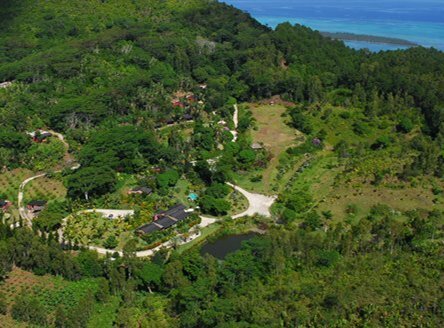 Set in 12 hectares of gardens, the 20 rooms and suites each has an individual design reflecting the island’s diversity of cultures – African, Chinese, Indian or simply tropical. 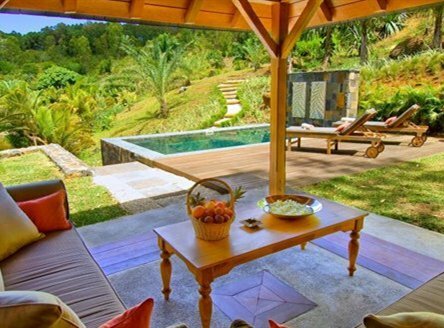 All are designed to allow guests to soak up the surrounding nature. Standard and Superior Rooms have their own terrace and share two swimming pools; Garden Pool Suites and Sea View Pool Suites all have a private pool; as does the more spacious Exclusive Pool Suite. 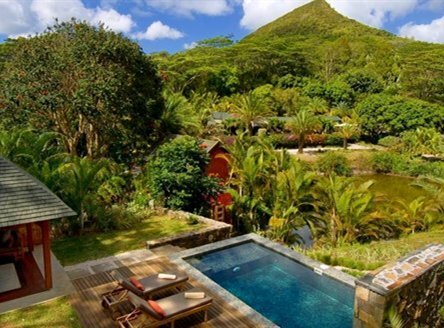 Lakaz Chamarel is the perfect location for a romantic honeymoon in Mauritius. Cuisine here is a delight with much use made of local produce from the nearby village of Chamarel; an á la carte dinner option is also available (supplement payable). The open kitchen welcomes guests who wish to learn the chef’s recipes! 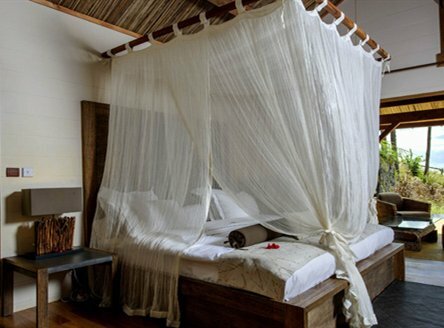 Spa treatments using local, natural products can be taken in the comfort of your room or suite. For guests wishing to spend time on a beach, there are daily complimentary beach shuttles to Le Morne, with a last return at 4pm. 20 rooms & suites including Standard Rooms (50m²) and Superior Rooms (60m²) Garden Pool Suites (95m²) & Ocean View Pool Suites (110m²), all with double bed, mosquito net, ceiling fan, ensuite bathroom with outside shower, hairdryer, safe, iPod dock, complimentary Wifi access, mini bar, tea/coffee facilities, swimming pool towels and terrace. 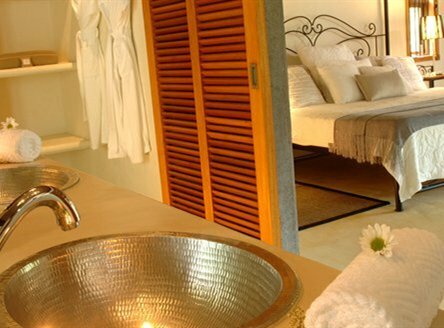 All rooms & suites also include an arrival gift of Cane sugar body polish, Honey beeswax soap, body oil and aromatherapy beeswax candle. Suites have a private pool and Nespresso machine. 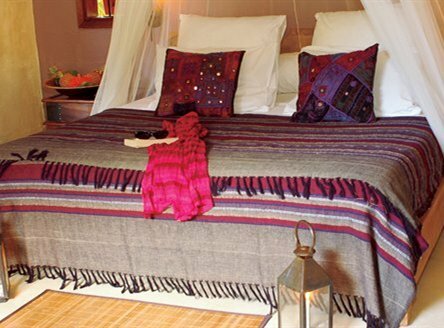 7 nights Half Board in a 'Lakaz' Standard Room from £1499 per person. 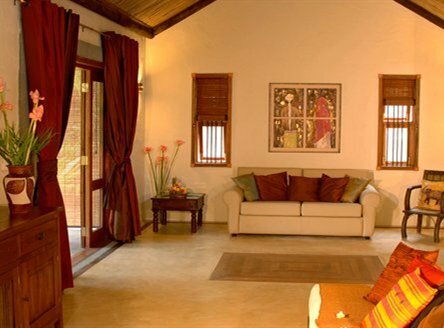 Includes return Emirates flights from London and private car transfers. Supplements for other rooms & villas on request. Upgrade to All Inclusive available - please call for a tailored quote. All price examples shown include return flights from London as shown & private transfers. Offers subject to availability & other terms & conditions. Call for details. Deluxe Boutique. 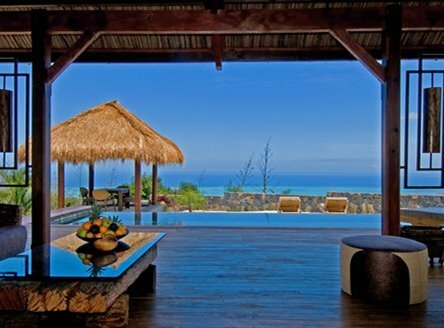 A truly unique experience of Mauritius. For the ultimate holiday, why not combine a stay here with one of our deluxe beach resorts? "Hilltop living, with luxury facilities including a superb spa and incredible cuisine.... and the opportunity to cycle and walk around the beautiful valley – utterly unforgettable! 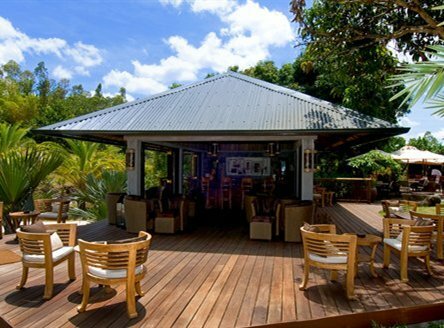 Sit at the top of the resort and take in the incredible views of Tamarin Bay." 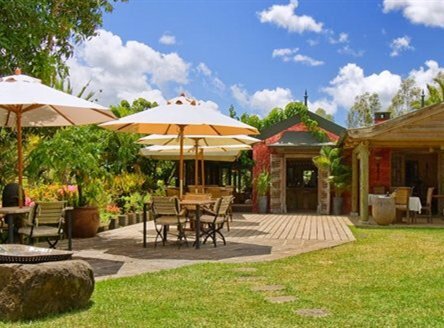 Why not combine your stay at Lakaz Chamarel with a few days at one of our many Mauritius Hotels situated around the coast of Mauritius? 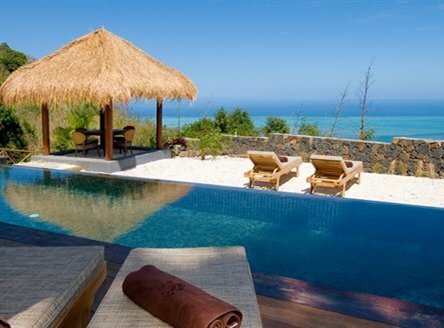 Choose from luxury 5-star resorts to great value 4 star hotels. Lakaz Chamarel makes a great combination with one of our superb Mauritius Catamaran Cruises. We can tailor any 'Cruise & Stay' package, from luxury resorts to boutique hotels.